The summer is coming to a close, and that means there will be a little less time spent outside. That means a little less home improvement, a little less yard work, and so on. In some ways this can be a relief. Homeowners who like to work on their properties wind up doing a lot of work outside, and while some pleasure can be taken in the process, it’s hard work. Retreating to the indoors come fall can feel nice. That said, you may already be looking forward to how you can pick up where you left off next summer. Once the weather begins to warm up next spring, you’ll be looking to get outside and start the improvement efforts up all over again. So here are a few ideas on how to set up your yard for the next summer season. If you have the yard space, one of the best improvement projects you can work on is building a new deck or patio space. But this is a pretty big project, and one that requires a lot of know-how, material, and labor. For that reason, it’s a good one to plan in advance for. Take a look at home construction designs and tips with regard to similar projects, and try to get a feeling for what sort of deck or patio you might like to build. Then you can either set about designing a blueprint, look into companies that can help with the job, and perhaps even start stocking up on materials. By doing this gradually you can make the costs a little less burdensome when the time comes to start building – and you can be fully prepared to do a great job of it. 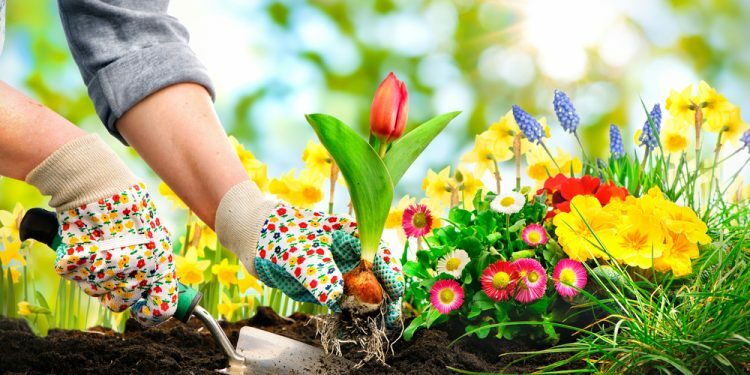 Some inexperienced gardeners are under the false impression that most gardening efforts have to happen in the spring and summer. It’s certainly true that these are the seasons when you might spend the most time out on your hand and knees keeping things tidy, picking fresh flowers and vegetables, etc. But you can also spend the fall planting beautiful perennials that will be ready to blossom when the summer rolls around again. Popular options like tulips, daffodils, and hyacinth are just a few of the plants you might consider setting into the fall soil now so that you can reap the rewards next year. If you’ve been working in the yard all spring and summer, you may have come to notice that there are some pieces of equipment you could use to make things a little easier and more efficient. That could mean anything from new hand gardening tools to more heavy-duty power equipment. It might mean a sharper spade or a riding lawnmower. Whatever the case may be, consider making these kinds of purchases in the fall, so that you’re ready to go once the weather warms up. It’s no fun to look into your garage or garden shed when spring and summer arrive and remember only then that you wanted to restock your tools and equipment. That should be a good start. Now is the perfect time to set up your yard so that you can get to work in another nine months or so. Once you’ve done a little preparation, you can settle into your home for the cozy fall and winter seasons!